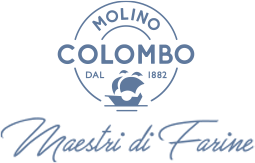 The Research & Development activity is another distinctive feature of Molino Colombo, whose know-how is an essential element of the company: semi-laboured products, improvers and innovative products are developed by our team of experts. In this way we have tried to give to our customers a service with a high added value through a consultancy activity focused on the specific production requirements. To ensure these results, all incoming wheats and all flours produced, are controlled by our Laboratory of Analysis and Controll through rheological tests (Farinograph, Estensografo, Chopin), chimical and physical properties (moisture, protein gluten, Falling Number, Amilogramma) and fermentation of the doughs (Reofermentografo). But we do not stop here. Moreover, each batch of flour was tested in our Experimental Bakery in order to seek the best for our customers, both from a technical point of view and the creativity in the presentation.